There seems to be a few favourite strategies used by our government when there is bad news on the horizon. And we all know that the bad news and the horizon are coming ever closer. One strategy is that you first of all put out a piece of news that gets everyone jumping up and down and exchanging totally opposite views. If it is something that involves a change in thinking and a challenge to traditional ways or customs, all the better. Lots of people expend energy spouting about the pros and cons, and there is a great chance for those who are change-resistant to cling determinedly to the status quo with a vengeance, - the “But we’ve always done it this way” crowd. Then when everyone is really starting to believe that our government is starting to think ‘outside the box’, and consider the plight of the ordinary people who are struggling because of a lack of employment, the real plan they had in mind all along is rolled out. 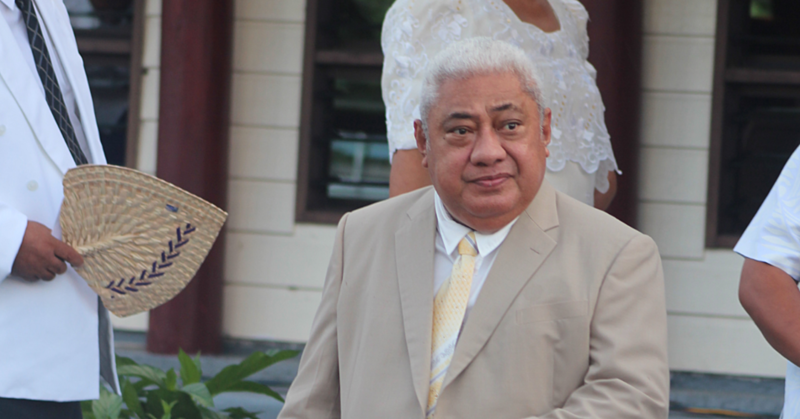 The situation we are looking at is the Minister for Revenue, Ti’a lavea Tionisio Hunt who has been tasked to look for new avenues of money activate governments ‘development plans’ – whatever they may be. And while we have known for some time we are short of money the idea that we should perhaps stop building big, useless, buildings which don’t generate work or income, apparently never occurred to the ‘big brains’ that lead our country. 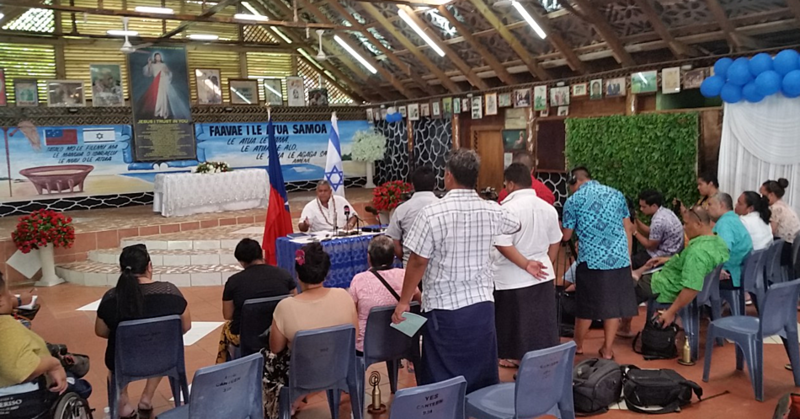 However we do need to congratulate the Minister for finding a funding source – the Unit Trust of Samoa (U.T.O.S.) for the new prison to be built and completed in 2018. And perhaps the fact that some of our richest churches and faifeau’s we are told have their money invested there will help them make a nice return on their investment. So back to that bad news which was the much-publicized search for new funds. Presumably the world banks and our friends and neighbours were stretched to their limits so it was a matter of looking within the country. But first, how excited we were when the first idea to come up from the Minister was taxing a section of the community who are and have always been untouched by direct taxes – pastors and the Head of State. Now there were two things in favour of these two sources that we could immediately see. One was that the pastors would surely wish to emulate Jesus who preached simplicity, kindness and giving and sharing and would willingly back this idea. The second was that the Head of State who we all know loves Samoa, would see the example set by other Commonwealth Heads of State worldwide and voluntarily offer to contribute to the development of this country to show his genuine concern as the one of the country’s top citizens. Sadly, to date there hasn’t been a huge move by the pastors or our State’s Head. Our P.M. agreed that yes, he too had heard of this suggestion of “just two and a half cents” and then soothingly added it was just a “small raise” and quote “we leave our two cents lying around and we don’t care about it most of the time”. Talk about speak for yourself! Try checking that ‘big brain’ theory out with people who belong to families where one person or no one is actually employed because of a lack of employment opportunities or if they are employed, they are on a minimum wage..
Then ask them if those two senes are important when the family calls for money? Or when the Village Council adds their voice for a contribution or when Sunday comes around and they are expected to contribute to the pastor in their community who is tax free?